Upplement Upplement ~ Your Health. Simplified. This is where it all starts and what all our other protocols are based on. All your daily essentials, based on research, without hassle. And exhale.... Help reduce stress and anxiety with our Balance Protocol. This Protocol offers you all the essentials plus a dosage of Ashwaghanda (India's miracle root) and Rhodiola Rosea. Look after your skin, hair and nails with our Beauty Protocol. On top of our Fab Four supplements, this protocol also has a biotin and Vitamin E supplement for optimal results. As well as our Fab Four supplements, the Brain Protocol also includes a 5-HTP and a Ginkgo Biloba supplement, known to aid cognitive function, memory and positive mood. 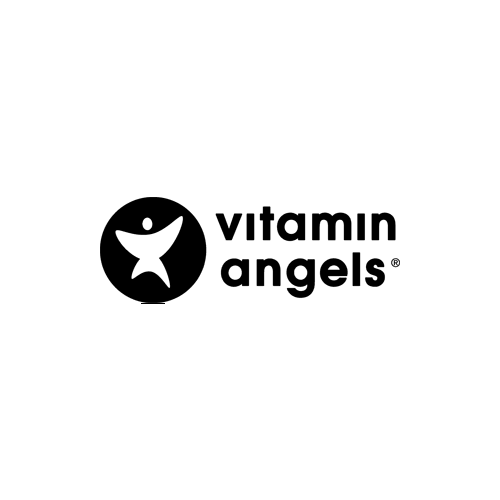 A line of expertly crafted, science-based, all-in-one vitamins, minerals and probiotics for extraordinary people. Fewer steps, fewer ingredients, zero hassle – because maximising your health should be simple. Select the right protocol for you (Essential, Brain, Beauty or Balance), with the help of our honest, science and research based advice. After subscribing, you'll receive a fresh supply of vitamins, minerals and probiotics, delivered in handy daily packs, every month. The daily packs are delivered in a smart recyclable box that fits through your mailbox. So you don't have to be home on delivery and you'll never run out. 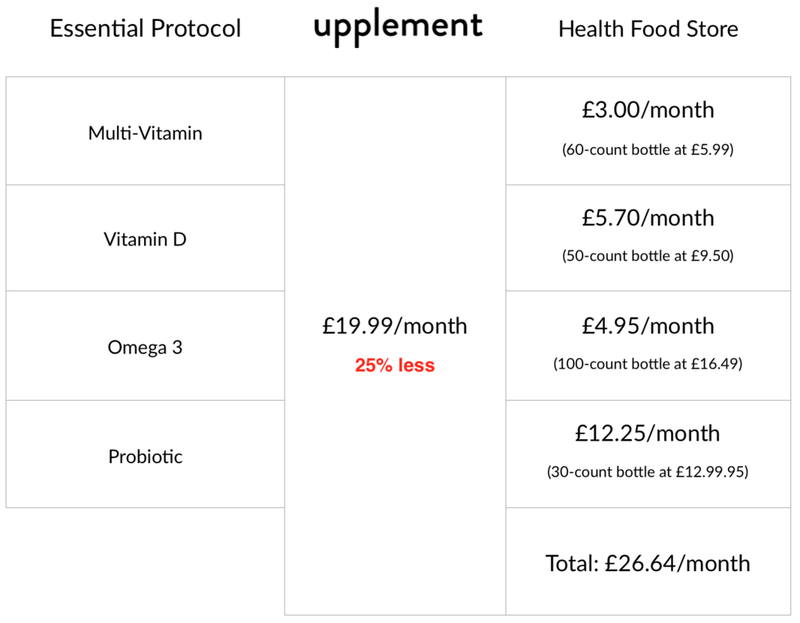 Your vitamins, your way: Skip a month, switch protocols, or put them on hold. Only get them when you want them, never when you don’t. Which protocol is right for me? Supplements are health-assistants that aid in avoiding nutritional deficiencies, making it easier for your body to battle the impact of environmental pollution, stress, low energy levels, digestive issues, and many other conditions. A healthy and balanced diet goes above all, but with many of our fruits and vegetables grown in nutrient-depleted soils, it's more and more difficult to get all the necessary nutrition from just what we eat (1). Our meals often feature genetically modified foods which have been sprayed with pesticides, processed, packaged and have travelled for hundreds of miles. By the time it hits our plate, much of the nutritional value has been lost. That's why taking supplements, on a regular base, will help delivering targeted nutrients at therapeutic levels that are often impractical or difficult to get from our diets. Protective, health-supporting nutrients are essential for everyone (2). So where do you start? Vitamin aisles can be overwhelming. What's actually in them? How much should I take? Some of these are empty, and some are too powerful? We're making it simple: Based on the Nutritional Reference Values (or NRVs), set by the Scientific Committee of Food for the European Community, our science-based supplement protocols are covering all the basics and more. Crafted from meticulously sourced ingredients. Manufactured in the UK. Automatically delivered to your door, so you'll never run out. All of our supplements are made with the highest quality ingredients, are completely gluten- and GMO-free and were made in UK based top-notch GMP-certified facilities according to strict GMP standards. They are free from lactose, dairy, yeast, salt, soy, wheat and maize. And we predominantly use vegan capsulation and avoid bulkers and fillers. For maximum benefits, all of our protocols are designed with superior bioavailability in mind, making them readily digestible and absorbable. Save 25% without effort by switching to Upplement from comparable supplements at your local health food store. Comparing prices isn't easy; different bottle sizes, dosages, shipping, calculating your monthly cost is hard. Luckily we did the math for you. You buy directly from us, so you won't be paying for our shop rent and retail markups, and that reflects in our pricing. We’ve adopted a new eco-packaging concept for our supplements to reduce its environmental impact.